Off-piste skiing is when you tackle the trials of the mountain in unpatrolled areas or locations not clearly defined by boarders. For many winter enthusiasts, this represents an almost irresistible opportunity. After all, it is hard to deny the appeal of freshly fallen snow or the crisp mountain breeze. Unfortunately, skiing away from the safety of a designated area brings risks – dangers which claim the lives of people every year. Just how dangerous is off-piste skiing? Although there’s no comprehensive study proving that off-piste skiing is more dangerous than regular skiing, these areas are not maintained by resort staff so feature hidden dangers. For example, according to the BBC, avalanches are more likely to occur off-piste than on regular courses. As a result, 24 to 26 people are killed during avalanches in France every year. Yet, this is not the only danger facing off-piste skiers. There could also be hidden rocks, drops, as well as crevasses. There are certainly dangers associated with off-piste skiing and it’s almost certainly safer to ski in the boundaries of quality resorts. However, few can resist the appeal of getting away from everyone and skiing off the beaten path. Avoid skiing alone – preferably travel in a group of three or more. 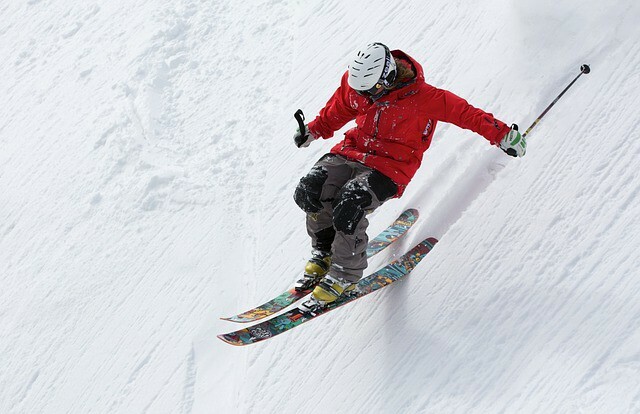 Ensure you have the relevant safety gear while on the slopes – such as an avalanche transmitter, shovel, and probe. Make sure every member of your group has this gear as well. Be aware of the mountain and how steep it’s slopes are – make sure you avoid travelling on unstable snow. Be aware of your limits and recognise when something is beyond your abilities. Consider hiring a reliable guide who knows the best locations. Ensure you have the best gear possible and understand how to use it. Take weather into consideration and avoid skiing in adverse conditions. Make sure your travel insurance covers off-piste skiing. Alpha Travel Insurance have a handy activity pack to show you what level of coverage you’ll need. 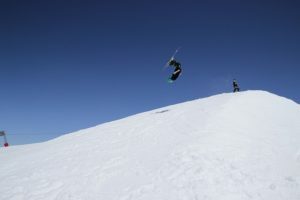 Although there is no precaution which will guarantee safety for off-piste skiing, the same can be said for regular skiing. Hopefully, these measures will ensure your safety and allow your experience to be as good as it possibly can be. ← Where to Ski in Canada as a British Skier?